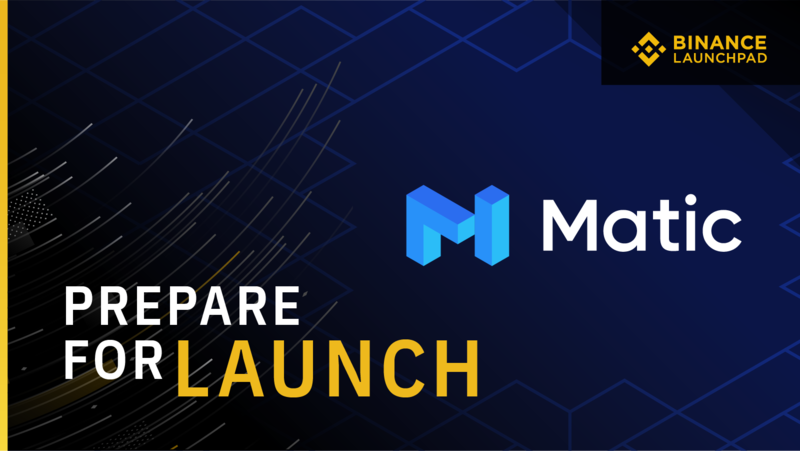 Binance Launchpad--the exclusive token launch platform, advisory and ecosystem supporter for transformative blockchain projects of global cryptocurrency exchange Binance--today announced support for its fourth project of the year, Matic Network, a platform for scalable and instant blockchain transactions. Matic Network’s token sale will be hosted by Binance Launchpad, implementing its new lottery format ensuring more fairness and transparency, beginning on April 24th, 2019 at 8:00 AM UTC. As part of Binance’s active service and mission to help the industry create a more sustainable global blockchain ecosystem, Binance Launchpad is continuing to support the industry needs for building and development tools for bringing more real world use cases using cryptocurrency. Matic Network is supported by Binance to further develop its infrastructure project responding to current market demands. Learn more about Matic Network in Binance Research’s in-depth report here: https://info.binance.com/en/research/MATIC-2019-04-01.html. Session details are here: https://support.binance.com/hc/en-us/articles/360026114611. For full details on the latest format and timeline for Binance Launchpad, visit https://support.binance.com/hc/en-us/articles/360026114611. Binance Launchpad is the exclusive token launch platform for entrepreneurs to bring the most transformative crypto projects to life, with the help of Binance users around the world. Projects accepted to launch on Binance Launchpad will have greater access to resources and support from across the Binance ecosystem.